At CIEC, we believe that a combination of experience and knowledge in a new culture provide curious and engaged high school students the opportunities to acquire new perspective of the country they are studying, of the world, and perhaps most importantly, of themselves. 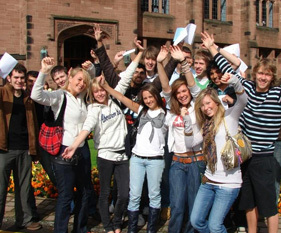 We offer holiday programs in the UK and Ireland to high school students from abroad. Our programs incorporate both experience and knowledge, giving inquisitive young people the opportunity to get below the surface of these countries and emerge from their experiences with a new, more global perspective. We represent some of the best summer language and activity courses at British boarding schools and devise our own tailor made courses and expeditions. Families who are considering sending their children to a British boarding school are well advised to start this journey with a two to three week summer programme at one of the leading schools in the UK. For children who speak English as a second language, there are excellent language and activities programmes. Participants will find themselves among a carefully selected group of high school students from many nations. During their time in the course, students not only gain invaluable western cultural appreciation but also have access to the schools’ world renowned teachers and facilities. For those who speak English but want to gain the feel of what it is like to be at a boarding school, there are courses where they can join other British children and take part in a range of sporting, artistic and musical activities, cultural events and trips to the country’s famous places of interest. We consider this to be the ideal way to learn English, by total language and cultural immersion. We place children with families who have spacious country houses, with outdoor facilities such as tennis courts and riding stables. The child will be joined by a full time tutor and we try to match the child to a family who have similar aged children. We either place children on their own or in small groups. 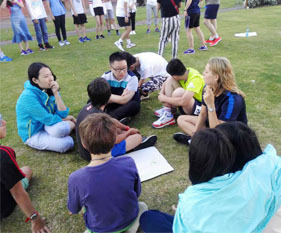 A typical day will include two to four hours of language instruction, the rest of the day being spent with the family and the tutor, exploring the local places of interest and taking part in outdoor activities. Each programme is different, according to the interests of the child.